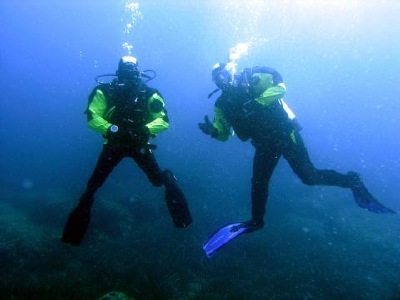 While many divers in the Pacific Northwest dive with wetsuits, diving with a dry suit is much more comfortable! But in doing so, it is CRITICAL that you learn how to use a dry suit! 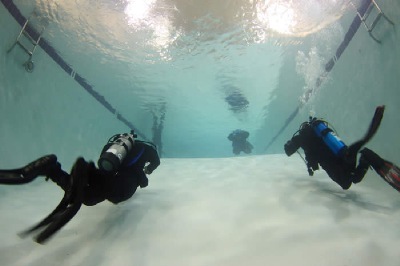 The ONLY place to first SAFELY experience diving in a dry suit is in a pool. This is where you want to make your "mistakes" and learn how to deal with them! The last thing you want to ever have happen is to experience these kinds of things for the first time while diving in the ocean or a lake. This scenario could have disastrous results. In contrast to diving in a wetsuit, a dry suit traps air inside the suit with you. As you turn head down with your feet above you, any air trapped inside with you will rush upward around your lower legs and feet. If you are not prepared for this and trained to get yourself out of this situation, you will ascend upside down, going faster and faster the closer you get to the surface. In this course, I will put you through a series of situations IN THE POOL and train you how to deal with each one! One you have mastered this, then and only then are you ready to dive with a dry suit in openwater. The more you do it after that, the more comfortable you will become with it -- until it becomes second nature. Honestly -- the difference between diving with a wetsuit and a dry suit in the Pacific Northwest is like the difference between night and day! There are several styles and brands of dry suits out there on the market. Part of this course will teach you how to decide which type and brand might be best suited for YOU! Includes: Instruction in classroom and pool, and openwater, and certification (upon successful completion).